There’s nothing like a creamy sweet potato! I love throwing them into the Instant Pot and letting the magic happen! I know I say this a lot, but This recipe for Instant Pot Sweet Potatoes really is simple! I think you’ll like them! place 1 cup of water in the bottom of your Instant Pot insert. use the trivet and either just throw those potatoes in there or you can put them in a handy steam basket. Place lid and make sure it is set to SEAL. Then press pressure cook (or manual) and adjust the time to 8 minutes. Instant Pot Sweet Potatoes in just a few minutes! A great Side Dish for any meal! preferred seasonings I love it simple, butter, salt,and maybe a sprinkle of cheese! pour 1 cup of water into the insert of your Instant Pot. Then put the trivet in. place lid and check that lever is switched to seal. press Pressure Cook (or Manual) and adjust the time to 8 minutes. Season to your liking and enjoy! ~ My favorite is simply, butter, pink salt, and a little mozzarella cheese. I know we are heading into Spring, but we have had a few cold rainy days still. So, this cozy stew was perfect! It’s really one of those recipes where anything goes, and if you like more meat or more veggies, whatever you’d like go for it! I started this recipe with a “block” of frozen stew meat pieces. You can use fresh or frozen. Dust it with a little flour and saute with some butter in your instant pot. When using thawed meat you can get a nice sear on the meat and it adds some extra flavor. But, even with the frozen this stew ended up being flavorful and tender! Add a little oil (any you prefer) and add the onion, salt, and pepper. stir. Now just throw in the mushrooms, carrots, tomatoes, and butternut squash to the pot! Pour in 2 cups of beef broth and all the seasonings! Today I’m going to share with you a very special recipe. This recipe has made me famous! Bet you didn’t know I’m a little bit famous huh? Well, to 5 little people that call me Auntie I am, and mostly thanks to this yummy chicken dinner! All because I made it, once upon a time when they (there was only 4 of them at the time) came to spend the night. The result was they loved it and went home telling my sister that she HAD to make aunties chicken! If you’ve been around at all, you have probably heard about Elderberry Syrup and it’s amazing benefits for boosting immunity. Making my elderberry syrup in the instant pot couldn’t be much simpler. And many have been asking how we do it, so I wanted to just type it out here for you! This recipe originally came to us from my amazing friend Andi, (you can follow her on Instagram for amazing Essential oil tips) Andi is one of my bosom buddies and has lent her wisdom about a lot of life things but especial the use of essential oils to help my family stay above the wellness line, and I am so very grateful to her for it! How To Use Your Once A Month Meals and How to freezer cook with this awesome membership. Let’s explore this amazing membership! Whether you are feeding a crowd or just a few, Instant Pot Mashed Potatoes will be a hit. And you’ll soon see they couldn’t be easier! 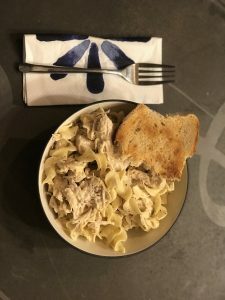 Here we are again, taking our favorite oven and crock pot recipes and converting them to Instant Pot.. where they can be done in just moments! yay! !